Virtual reality is far from new. It has been around for more than a decade in one form or another, though, to be fair, it has been steadily improving over the years. Short movies, games, and training tools are the products of this tech. As a result, more and more games are getting designed and produced with VR in mind. Why are people so interested in this tech and how will the gaming industry be influenced by it? If you’ve ever seen a minor in front of the computer, you may have noticed certain zombie-like qualities to their facial expressions. Even when the game is provoking the reaction, they remain unmoved, going through the motions. This is not true for the majority of gamers, but the number of instances this occurs is significant enough to make the occasional observation. Some games may feel like you are performing a task, instead of enjoying quality entertainment. As it gets slowly integrated into mainstream games, VR will make the experience much more intense and immersive. You can go on YouTube and search for gamers who play horror games using VR. Because they really feel like they are there, it is not uncommon for our favorite YouTubers to lose balance and fall down. This just means that there will be a need for certain safety measures when playing with Oculus. Up until recently, we were only able to communicate with other players in multiplayer games via chat or audio. There are now, and there will be, games that offer a much more interactive experience. VRChat, for example, is a virtual reality game where you can assume any identity you wish. You can then play games with others, chat, shake hands, or just run around the room doing silly jumps and so on. Imagine first-person shooters in VR. It will be much easier to communicate with your team, along with getting more immersed in the virtual world. The social aspect of gaming will be on the rise, and more games will be created with the goal of promoting interaction, cooperation, and partnership, rather than just competition. 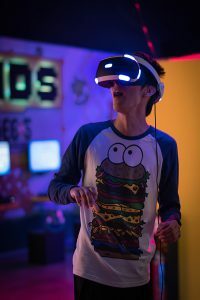 VR will also be the go-to method of dealing with several issues, like fighting with several types of addiction, managing stress by placing you in a calming environment or curing phobias by introducing the fear factor in a safe environment. Imagine you are deathly afraid of heights. The gear can make you feel like you are in a high place, while the medical professional talks you through this stressful experience. Before you know it, you will be able to sit comfortably on the balcony. 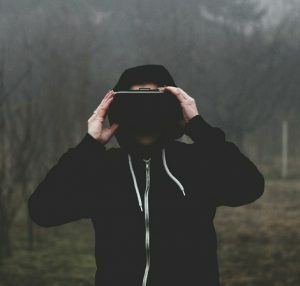 The health industry, as well as any job training, will also see the benefits of VR, as it will allow the students to participate in delicate simulations before moving on to the real thing. This means we can expect more educational and therapeutic games in the near future. Complicated surgeries, playing with atoms in order to create new organic compounds in chemistry, protein synthesis, learning how to drive, or just plain cooking – these are all the things you can do without wasting resources and without repercussions. The learning experience becomes that much more interactive and interesting. What’s New in 3D Printing?